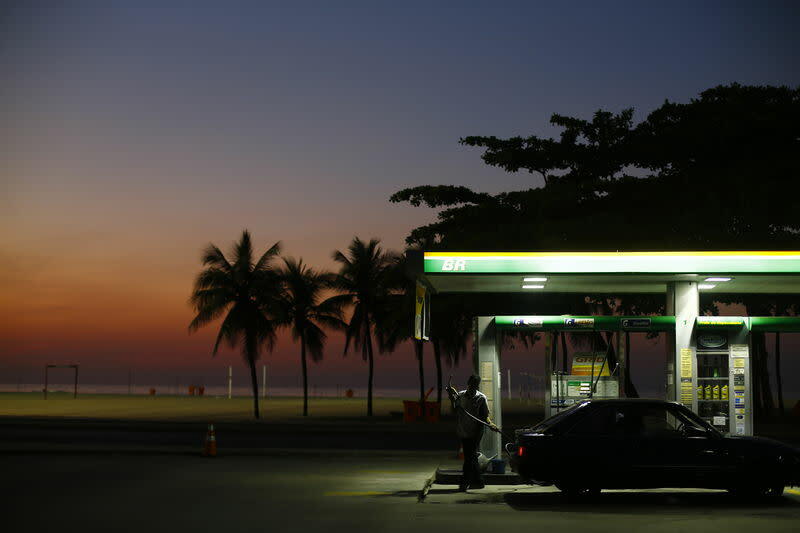 NEW YORK (Reuters) - Oil prices crashed on Wednesday, with U.S. crude losing 9 percent in one of its biggest daily routs ever, as record high oil inventories in the United States cut short a four-day rally. Benchmark Brent oil (LCOc1) fell below the key $55 a barrel mark, after soaring to a one-month high of $59 just a day ago. U.S. crude (CLc1) broke below $48, after Tuesday's peak above $54. "Hereon, I've no illusions that we'll be going further and further down until something fundamentally changes," said Tariq Zahir, portfolio manager at Tyche Capital Advisors, an investment fund in Laurel Hollow in New York. "I'm sticking to my shorts and selling into any strength I see until we get rid of 1.5 million to 2 million barrels of oil a day from this market," he said. "The truth of the matter is that after this newest record high in crude inventories, it's probably going to be outside forces like the dollar, stock market and economic data which will determine if oil prices continue to go up or pull back," said Phil Flynn, analyst at the Price Futures Group in Chicago. Oil's $9 climb since Thursday had raised speculation that the market's seven-month rout might be near an end. U.S. crude settled at $48.45, down 9 percent. It had only fallen more than that in November -- 10 percent -- after the double-digit losses during the height of the financial crisis in 2009. Brent oil (LCOc1) settled at $54.16, down 6.5 percent. "In our experience, oil markets rarely exhibit V-shaped recoveries and we would be surprised if an oversupply situation as severe as the current one was resolved this soon," Macquarie Research said in a report.